At Last Galaxy Anchor Dark Matter Black Holes found around Centaurus A. 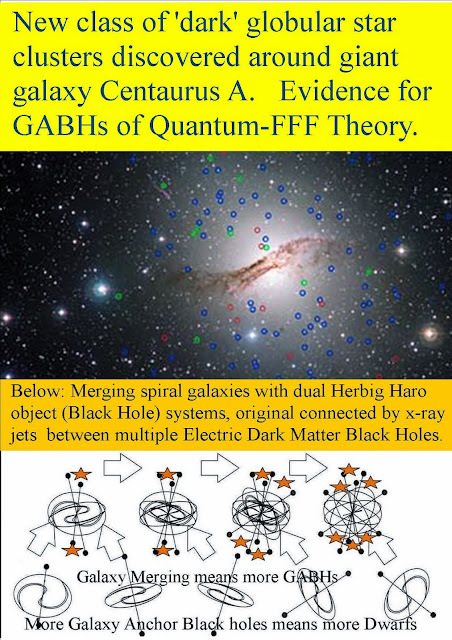 Dark Matter Point sources around the Milky Way compared to Centaurus A.!! Bok Nebula ESO 9934 IR : too small dual electric dark matter black hole system to produce stars? The aligned stellar strings observed here, could be an indication for the influence of a Herbig Haro system based on so called Stellar Anchor Black Holes (SABH) . There seems to be a gravity pull on newly formed starry globules out of the “mother” starry globule, according to Quantum FFF theory. 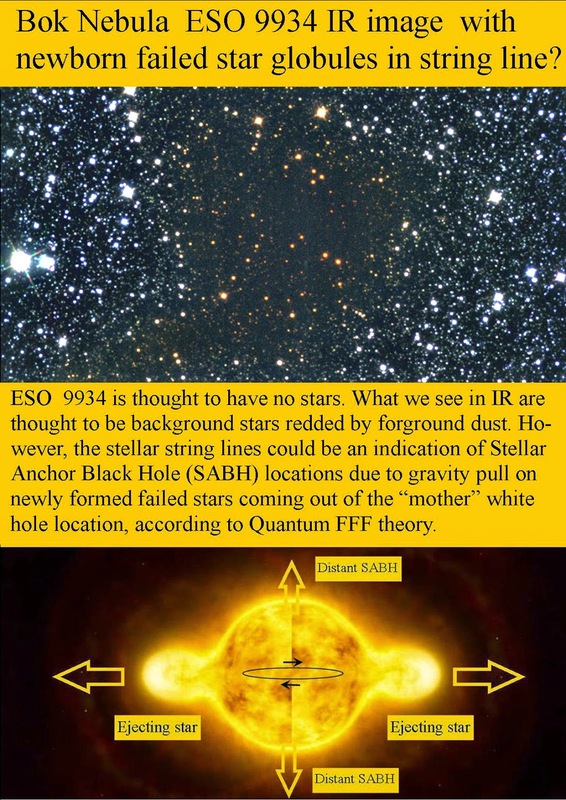 However the Eso dust measurements of the whole cloud indicate, that there is only matter enough for 3 stars (solar size).. 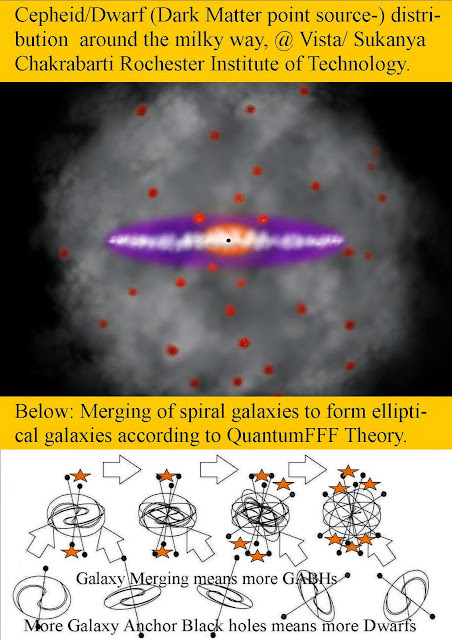 Suggestion, according to Q-FFF Theory the undersized SABHs produce plasma and electric currents, for accelerated star formation. However, these SABHs are supposed to be too small for real star formation and consequently only able to produce so called failed stars or potential planets . Bok Nebula ESO 9934 with indication for a Herbig Haro dual Micro Black Hole system inside. According to Quantum FFF Theory star spots are micro Black Holes. 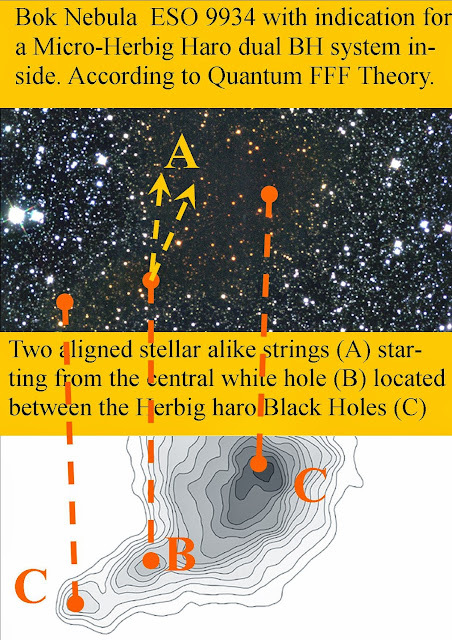 After stellar explosions these starspot black holes will search for companions and for dual BH systems just as is found for macro Herbig Haro systems. The size of the dual BHs is assumed to be responsible for the lack of real star formation.